Oddsstaðir is located in the beautiful Borgarfjörður, West Iceland, the birthplace of the Icelandic Saga. Oddsstaðir is located in the beautiful Borgarfjörður, West Iceland, the birthplace of the Icelandic Saga. 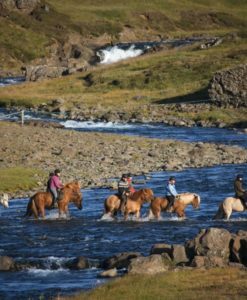 This area has a big variability in the landscape, therefore it is an adventure to ride the Icelandic horses and enjoy the nature at the same time. 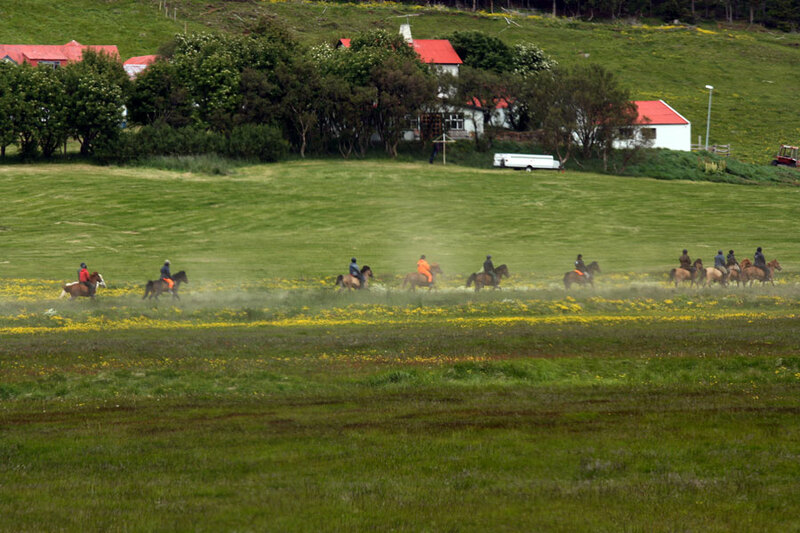 We ride south Lundareykjadal on an old gravel road. Then we move down to the bank of the beautiful river Tunguá and ride with the river on a green field and lava, on the way back home is ridden over river Tunguá on a shallow wading. 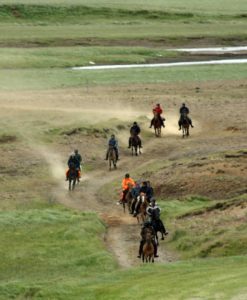 This tour is both for beginners and also for more experienced riders. 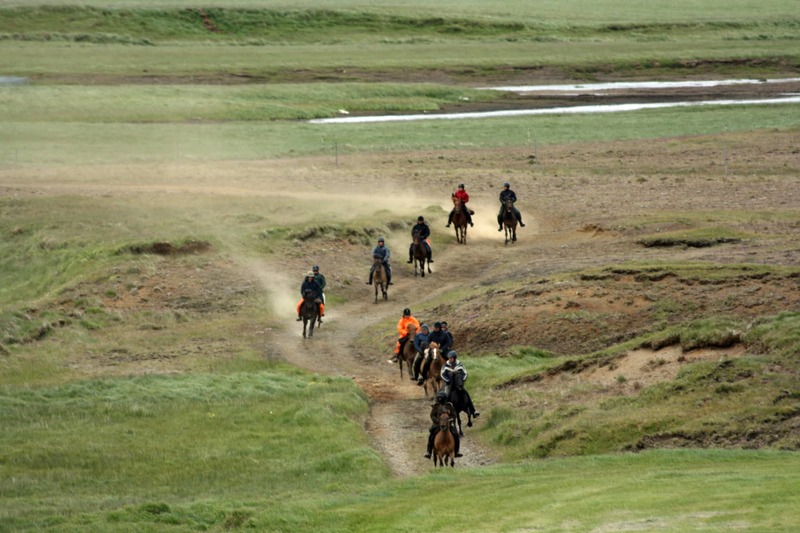 Outstanding horse riding experience! 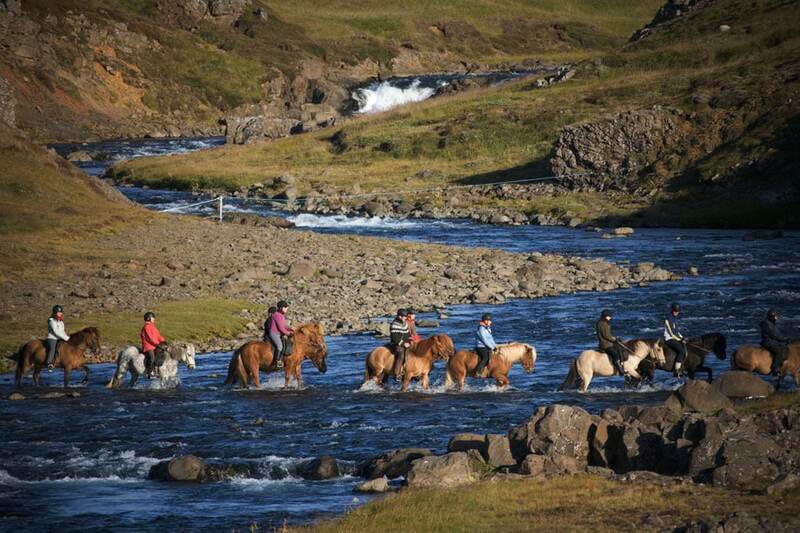 We really enjoyed our ride with these amazing horses. 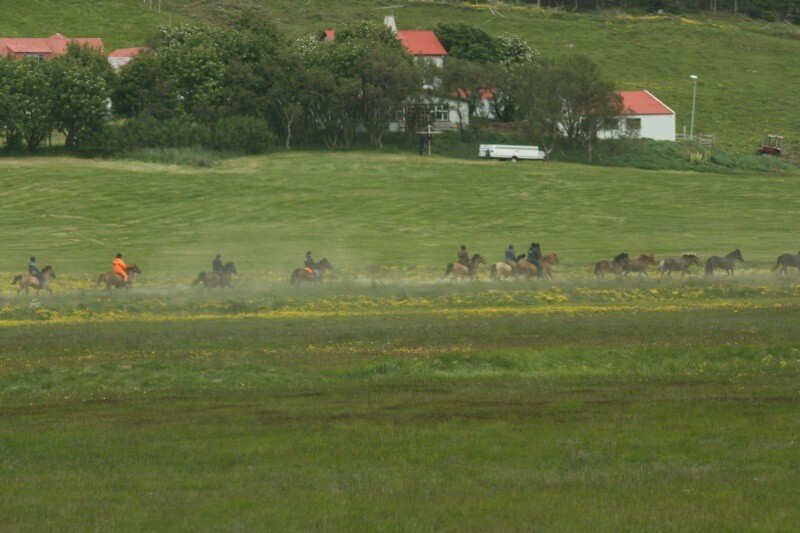 The horses are very well behaved and trained. They have very nice tölt . 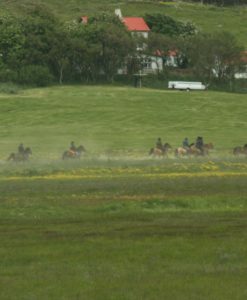 You can feel that the owners love their horses and their job. We felt very well taken care of. 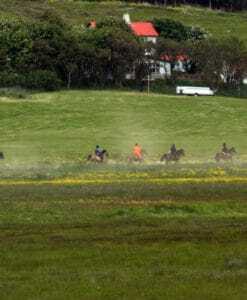 Oddur, our guide, gave us many insights about the icelandic culture , the horses and traditions. The valley, where the farm is located, also has beautiful scenery.